Can I buy Trimovate Online? 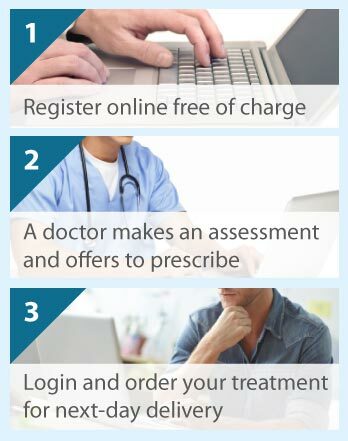 The Online Clinic can prescribe Trimovate for you if you have a diagnosed skin condition. If you need a diagnosis online then we can do this for you with a simple photo upload facility. Trimovate can be prescribed online for next day delivery. Trimovate cream contains: clobetasone butyrate (a synthetic corticosteroid); oxytetracycline (an antibacterial agent); and nystatin (an antifungal anticandidal agent) and is used to treat inflammatory skin conditions such as eczema, dermatitis and psoriasis that are or may become infected with bacteria or fungi. How does Trimovate (Clobetasone) work? Clobetasone works by reducing the immune system's inflammatory responses to allergy or irritation of the skin. Specifically, clobetasone acts by blocking the inflammatory substances released by the immune system that cause inflammation, which reduces swelling, redness and itchiness. How is Trimovate used to treat eczema, dermatitis and psoriasis? To use, wash your hands, then apply the cream in a thin film and rub it into the affected area gently until it disappears. You can apply clobetasone up to 4 times a day for up to 2 weeks. Trimovate only comes as a cream - there is no ointment version of this product. What else is Trimovate (Clobetasone) used to treat? Clobetasone also comes as a lotion and is used to treat inflammatory disorders of the scalp such as psoriasis and seborrhoeic dermatitis. Are there any side effects of Trimovate? The most common side effects of Trimovate are redness of the skin, changes in skin colour, rash, thinning of the skin, itching or burning sensations, excessive hair growth and worsening of symptoms. Most people do not get any side effects and the side effects listed are normally associated with prolonged use, which we do not advise. Trimovate should be used with caution in children. You should not use clobetasone if you are allergic or sensitive to any of the ingredients in the cream; your bacterial or fungal skin infections are not due to eczema or dermatitis; you have tuberculosis, viral infections, acne or perioral dermatitis. Please make a full disclosure on our consultation form and we will ensure that you are prescribed a treatment that is appropriate for you.